We're coming into the busy holiday buying season, and in order to cut down the number of "what should I buy" emails I get (or at least focus them better ;~), I thought I'd summarize some of my thoughts in a few articles. On each of my sites you'll eventually find a guide to the products that I think you should be considering if you're in the purchasing mood this year. This site covers Nikon DSLRs, and this is the first of that series of articles. All else equal (perspective, angle of view, focus distance, etc. 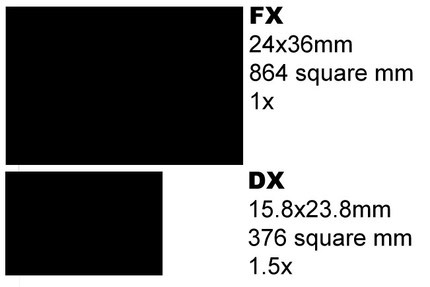 ), FX can provide a stop more depth of field isolation than DX. All else equal, FX might be able to give you one stop better low-light performance (it won't if you try to keep DOF equal, though, which is one of the reasons why I wrote "might"). FX uses the same imaging circle as film cameras did, so a 50mm lens on FX shoots like a 50mm lens on a film SLR, while a DX camera will have the angle of view of 75mm lens on a film SLR. FX sensors cost considerably more than DX sensors, so FX cameras are always more expensive than the equivalent DX camera (compare the D7100 and D610, which are the same camera with different sensors). Landscape photographers tend to prefer more pixels, which points to an FX camera, the D800. Wildlife photographers tend to prefer more pixel density, which points to a DX camera, likely the D7100 at present. FX cameras tend to be a little bigger and heavier than DX cameras (or really bigger and heavier if you're considering the D3x or D4). Lens choice for FX is much more broad and deep (though equivalent lenses tend to be bigger and heavier). A lot of people try to make the DX/FX question too complicated, or they invent faux factors (e.g. "DX isn't full frame"), or they let nostalgia or ego take hold (e.g. "I used to shoot film SLRs so I need FX" or "all the best photographers use FX so I should too"). Make sure you know the reason why you choose DX or FX. Limited Dollars. You don't want to spend much, but you want something as good as you can afford. This is where things are the most complicated, partly because of overhanging inventory. If all you want is the best current Nikon DSLR for the lowest price, I'd tend to say buy the D3200. image quality as good as anything Nikon has made in DX, and at the lowest price of the current models. To buy a D5300, you're basically paying money to buy a swivel LCD and a few more features that you probably won't use. If your dollars are really limited, wait until Black Friday (November 29) and consider shopping the overhanging inventory (D3100, D5100, D5200, D7000). You're likely to get a really good camera for limited dollars. All four of the cameras I mentioned are very capable cameras. They'll all produce better results than pretty much any five-year or older consumer DSLR. Want the Best. Easy answer: get the D7100. It's the best camera in Nikon's DX lineup at the moment, with its only real limitation being a smallish buffer for raw shooters. Waiting for a D300 Update. Either bite the bullet and get the D7100 or wait. A few might consider the D800 instead (it delivers bigger and better DX images than a D300, though only at 5fps). All other answers are wrong, IMHO. D7100, wait, or D800; those are your logical choices. My full set of star-based evaluations is mid-way down the main review page on this site. In the midrange zoom, I only have two highly recommended lenses, the Nikkor 16-85mm and the Sigma 17-50mm. I just received the Sigma 18-35mm f/1.8 and it's looking good, but you'll have to wait for my full review for more. Every Nikon DX owner should have the 35mm f/1.8G DX (normal) and one of the many FX fast lens choices available between 50-60mm (for portraits; 85mm is a little long for that on DX). A 35mm and 50mm f/1.8 combo is a nice affordable addition to any DX bag. In terms of wide angle, you really have to go to one of the wide angle zooms (Nikon, Sigma, Tamron, Tokina) and there's not a lot separating them. 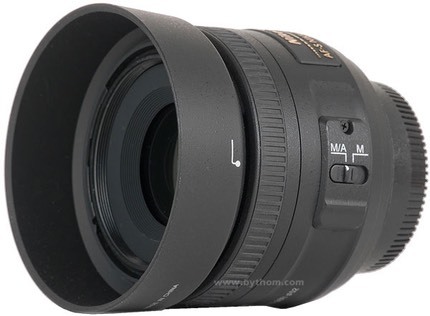 Get the Tokina 11-16mm if you shoot in low light, get any of the 10-24mm lenses if you shoot outdoors. For telephoto, shop the FX lens lineup. If you need the D4 you don't need my help and you already know you don't need it. Virtually all of you reading this are trying to figure out the D610, Df, D800 puzzle. I'll make it easy: the D800 is the best camera Nikon makes. It may be the best all-around DSLR on the market. The sensor is as good as it gets. The body has virtually every feature Nikon has done on anything less than the big, expensive top pro bodies, and even then the list of things missing is extremely limited: no Ethernet, no voice annotation, for example. Which D800? Simple answer: how often do you shoot at f/4 or faster? If the answer isn't "a lot" then the D800 is your choice. At f/5.6 and smaller apertures the cameras produce almost identical results. Below f/4, the D800E will produce higher acuity, but not everyone wants fast aperture and high acuity (e.g. portraits taken at f/2 or faster would have you doing a lot of extra skin work in post processing with a D800E). For wildlife, I shoot a D800E because I'm almost always at maximum aperture (f/2.8 or f/4). Picking a D610 or a Df over the D800 means you're making a conscious compromise of some sort. Choosing a D610 over a D800 means you're willing to settle for fewer pixels, lower body quality, and fewer AF sensors in order to get a significant discount. 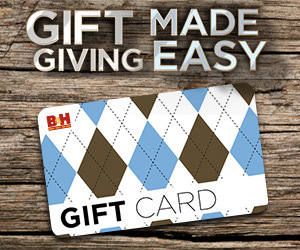 In other words, you're a bargain hunter, not someone trying to get the best possible tool. You choose a Df over a D800 for only one (or both) of two reasons, I think: (1) the sensor; or (2) the retro controls. If you're thinking #1, make sure that you fully understand that decision, as the D800's sensor is better at base ISO and holds its own out through ISO 3200. A lot of folk aren't doing large work so don't need the extra D800 pixels in the first place, thus they see 16mp as requiring less post processing work for what they do. True. Just make sure you know why you're picking 16mp over 36mp and that the reason is a true one, not something you think you heard on the Internet. But bottom line: these are all great cameras. I can recommend them all, as long as you know why you're buying one over the other. Again, there's a lot of summary information on the main review page, and my older lens reviews are accessible from that page, as well. If you're buying into FX, you're probably looking for the best, so I'd also point out my Rationalizing Lenses page for lots of detail. Prime Candidate: 28mm f/1.8, 50mm f/1.8, 85mm f/1.8 — all very good lenses at decent prices that aren't particularly large, either. These are great combo with the D610, making for a small kit. Df shooters are more likely to want to dip into the older lens pool for primes. Slow Zoomer: 16-35mm f/4, 24-120mm f/4, 70-200mm f/4 — the outer two lenses are outstanding, the mid-range model just very good. But this gives you a lot of flexible focal range in three lenses that are quite good, even more so on the D610 and Df. Plus this kit is all VR enabled, too. The Pro Kit: 14-24mm f/2.8, 24-70mm f/2.8, 70-200mm f/2.8, 200-400mm f/4. Four lenses take you from about as wide as you'll ever want to go to about as close as you usually need. The first of these lenses is outstanding and unequaled. The last of them is just outstanding. I'd have a strong tendency to skip the 24-70mm if I could and I'd investigate whether the 70-200mm f/4 is a better choice for you. But still, pros use this set every day and deliver great results to their editors. With each of those kits you can supplement easy enough. The 80-400mm is a good budget choice instead of the 200-400mm. You could go f/1.4 in the prime group if you wanted to. There are no terrible choices in cameras. I can recommend all the current Nikon DSLRs, and I wouldn't avoid the previous generation if you're cost conscious. But in lenses, the story is different. Remember, I make the assumption that you're buying into current DSLR cameras and lenses because you're trying to get the very best results possible. Otherwise you might find other options are better (travel compact, large sensor compact, or mirrorless). I'm not a fan of convenience zooms (typically mid-range or super-zooms with variable apertures). In the DX lineup, the 24mp cameras are now pushing some of the older zooms out of consideration if you want top results (e.g. 18-55, 18-105, 18-200). The high pixel counts of many of the DSLRs also mean that f/5.6 starts to get very close to where diffraction starts to be a problem, and shooting wide open isn't where you'll get the best results on most lenses. Since all the convenience zooms are f/5.6 at their long end, this means you may find yourself in a rock and a hard place: you want to use f/8 or f/11 to get to the lens' sweet spot, but diffraction is almost immediately robbing you of acuity at the sweet spot. This is true for the FX convenience zooms, too, though less so with the Df and maybe D610 than the D800. Top FX Lens Choices: quite a few. All the recent primes, all the f/2.8 zooms, all the f/4 zooms. There you have it in a nut shell. What do I shoot with? D800 mostly, with a mix of f/2.8 and f/4 zooms and sometimes a prime. On safari sometimes I'll use a D7100 for more pixel density on one of the long lenses (typically 200-400mm f/4). So when I say I recommend something, I actually do. It's what I've chosen and what you'll find in my gear closet.